Dear Indonesian Fans, Here Comes Lee Dong Wook! Korean actor Lee Dong Wook, who recently performed as the adorable Grim Reaper in hit drama Goblin, happily announced his Asia tour “4 My Dear” just right after the drama wrapped up in January. As part of this tour, Lee Dong Wook revealed that he will visit Indonesia and meet fans here who have been showing their support throughout his career as an actor. Lee Dong Wook started his acting career in 1999 with MBC Best Theater and hit series, School 2. Lee Dong Wook’s name wasn’t really known until 2005’s My Girl which he played with Lee Da Hae, Lee Jun Ki, and Park Si Yeon. The well-receiveddrama made the actor both domestic and Asia’s star. Lee Dong Wook constantly plays leads in several dramas after that with wide range of genres like Scent of a Woman, Iron Man, Hotel King, Wild Romance, The Fugitive of Joseon, Bubble Gum, but not until Goblin that he won public’s hearts again after showing strong chemistry with both Gong Yoo and Yoo In Na. Not only that, Lee Dong Wook had also shown his unlimited charms through variety shows which he MC-ed and guest on such as Strong Heart, Roommate, and his recent cute appearance while baby sitting Lee Dong Guk’s children in Return of Superman. 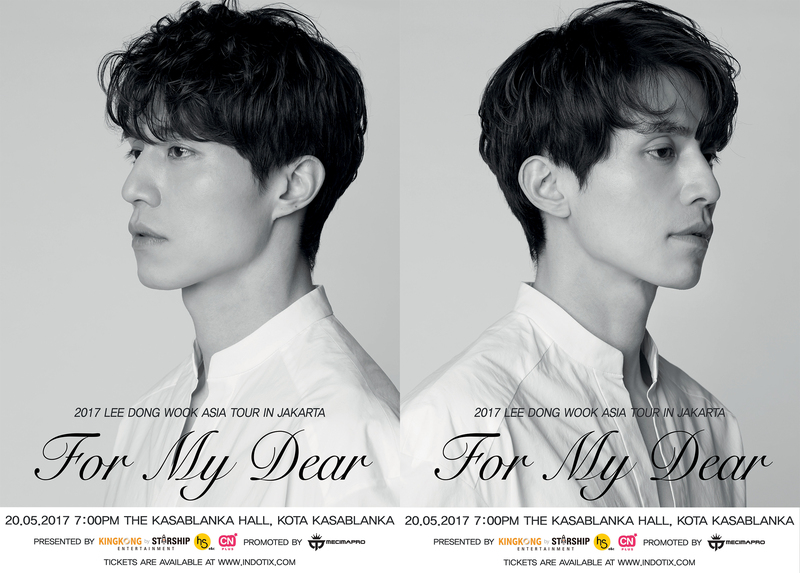 With his talents and love for fans, Lee Dong Wook will bring joys and smiles to Indonesia through his Asia tour fan meeting “4 My Dear” where he promised to make enjoyable for fans who have shown nothing but love to him these past 18 years.